Hair loss is an age old issue, faced by both men and women alike, for centuries. According to Ayurveda, the hair is derived either as a by-product or produced as a breakdown product of Asthi (bone tissue). Any disturbance in this tissue metabolism, which very much depends on the digestive fire, can affect the health of the hair. Reasons for hair loss are many, and can vary from person to person. The major causes of hairfall are hormonal, nutritional deficiencies and complication to other diseases and medications. According to Ayurveda, excess of Pitta dosha in the body is a major cause for hair loss and is increased by hot climatic conditions, excessive intake of spicy, salty and sour food, tea, coffee, alcohol, meats and smoking. Eating too much fried, oily, greasy, and acidic foods also aggravates Pitta. 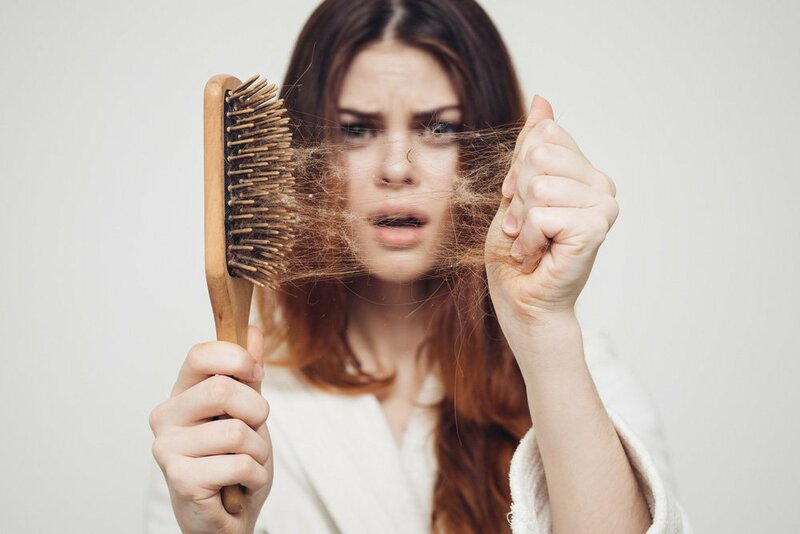 There are also a number of other causes for hair fall like acute illness, high stress, and thyroid imbalance, certain drugs, sudden weight loss and high fever. In treating hair loss, the first step is to locate the root cause in your diet or lifestyle that may be increasing the Pitta dosha. Once you locate it, try to give up or at least reduce the diet, habit, or activity responsible for increasing Pitta. 1. A high protein and an iron rich diet is recommended for hair loss. An adequate intake of raw vegetables, fresh fruits, salads, green leafy vegetables should be included in the diet on a regular basis. 2. Use a natural shampoo to clean the hair. Amla (embilica officinalis), Shikakai (Acacia concinna) are very good for washing the hair. 3. Oiling and massaging of scalp is very beneficial for stopping the hair loss. Use coconut oil at least three times in a week. Certain medicated oils like Neelibhringadi oil, Kunthala kanthi oil, Kanjunnyadi oil are very useful. Put oil on the scalp, and massage gently in the roots of the hair. 4. Another important aspect is to maintain a regular bowel movement everyday. 5.Regular physical exercise is very beneficial as it helps in balancing the aggravated doshas. 6. Traditional therapies like Dhara, Abhyangam, Thala pothichil and Nasya show excellent effects. Itoozhi Ayurveda is a leading Ayurvedic Hospital in Kerala, offering various therapies for good health.